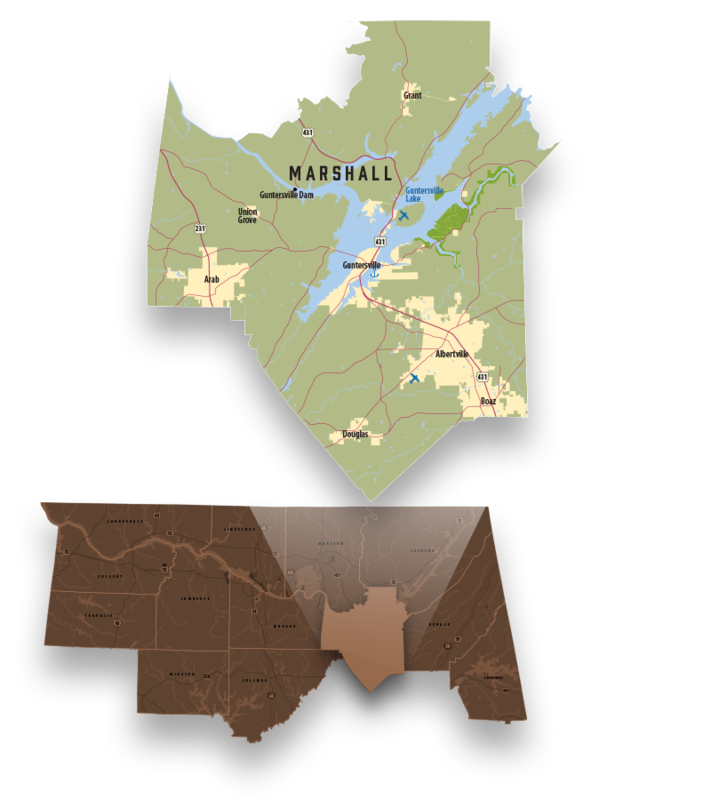 Marshall County is located in the northeastern portion of the State of Alabama. This county is home to 94,534 people with 41,331 in the labor force. Marshall County has a strong industrial base with more than 150 companies.